Partners Scott Monette, Food Network Chopped Champion Chris Royster and General Manager Adam Monette welcome you to the Flagstaff House Restaurant for unparalleled Colorado dining experience. 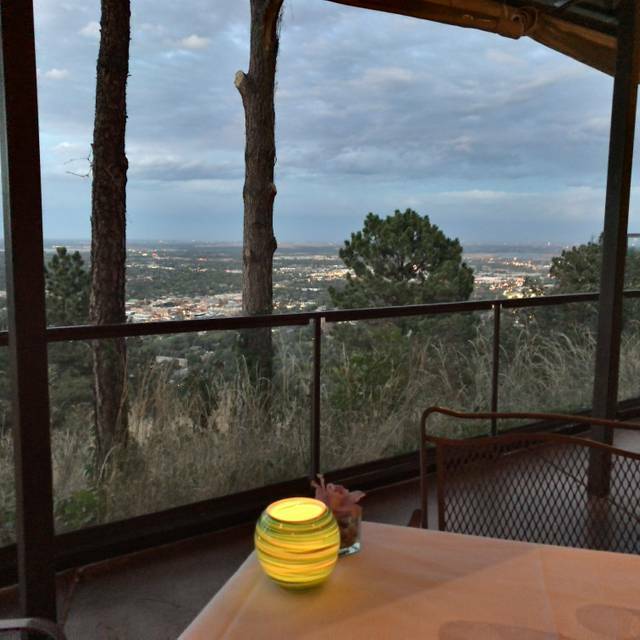 Located at an elevation of 6,000 feet the Flagstaff House offers breathtaking views, new American cuisine, a world-renowned wine list and impeccable service. Local and seasonal cuisine take the spotlight in curating our menu. Offered are a three-course or Chef's multi-course tasting menu with the three-course menu available a la carte. The Monette family has owned the Flagstaff House since 1971 and holds many prestigious awards including Colorado's longest holding Wine Spectator Grand Award, Forbes Travel Guide Four Star rating and AAA Four Diamond status. 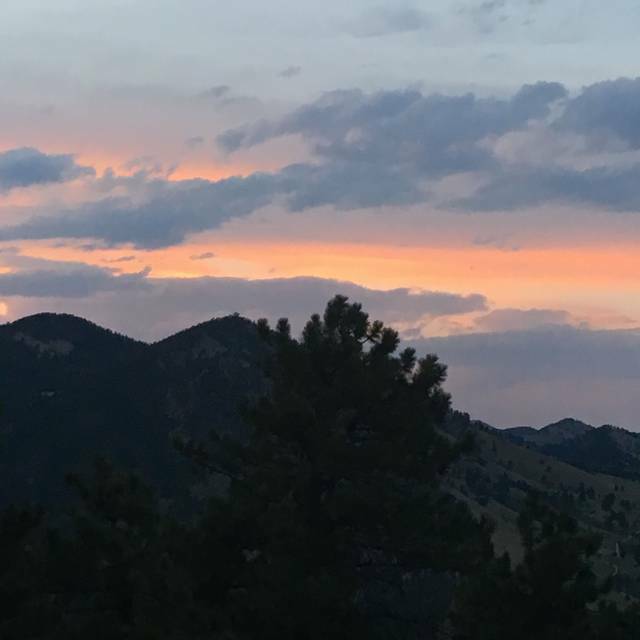 Features include Men's Journal, Bon Apetite, Conde Nast Traveler, USA Today, 5280, Best of Boulder, Eater and many others. We look forward to welcoming you for a special dining experience. Fantastic spot to celebrate a special occasion. 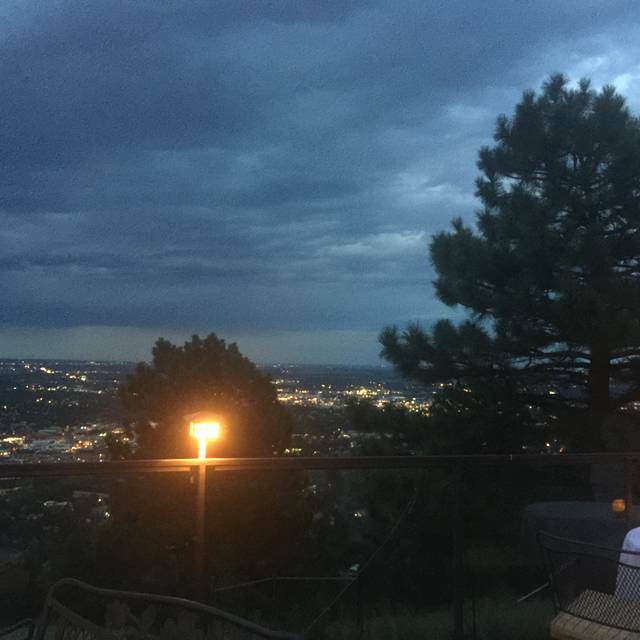 The view alone makes for a memorable evening but the food and service make it a special occasion. It's amazing how an institution so storied can continue to provide such fantastic service and food. It's no wonder they continue to be so busy. Great new menu with old favorites and great new additions. Kudos to the family ownership for successfully stewarding such a valuable community asset down through the generations. I'm reminded why I used to go so often and am now committed to put it back on my rotation more frequently. Thanks for a great evening. Outstanding food, service and ambience, an epic event! 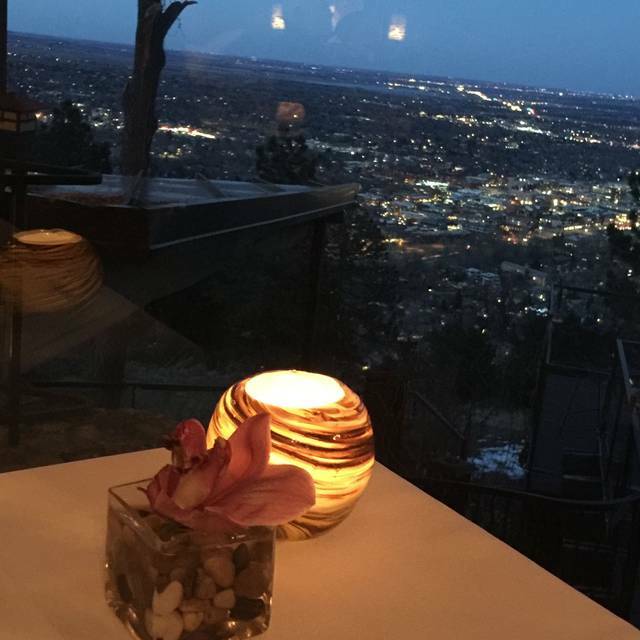 The view and service were great but the food was VERY subpar and not worth the price. Happy, and hospitable. Food was remarkable, and the ambience is the best. My second time at the Flagstaff House. In my opinion it is the finest restaurant in the Boulder, Denver area. 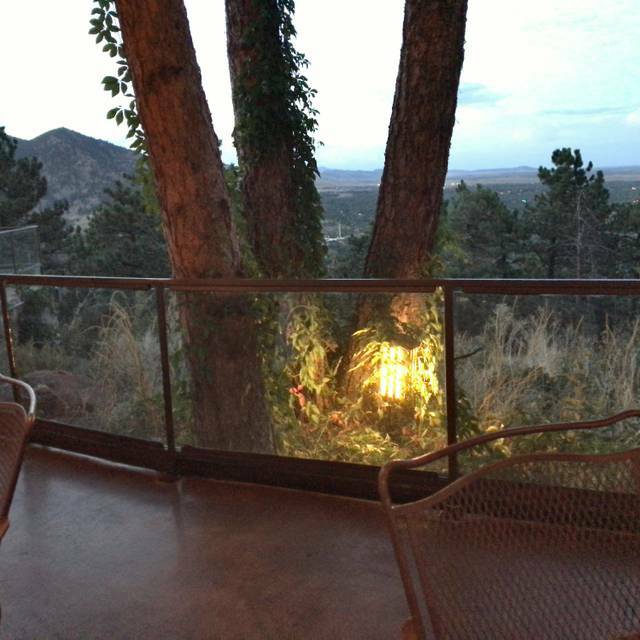 Start with the ambiance, a beautiful view with no bad table in the house to sit at and enjoy sweeping views of Boulder. Most places that have a good view tend to over price bad food and give mediocre service. Not the Flagstaff House. We enjoyed an amazing fine dining experience with impeccable service. The food is artfully prepared and delicious. Mixed drinks are amazingly well prepared and the wine list is quite extensive. Not a cheap meal, but given the quality I thought the price was very reasonable. Well worth treating yourself to a meal here. I can't recommend it enough. service was not good, and my sister and I had trouble going up the stairs to use the bathroom. We are inner late seventies with knee and back injuries. These young people do not have a clue about the difficulties of being able to walk. Even though I had this problem, there was no help aiding me up the stairs. It was not a good experience and my guest were all upset over this situation. It is a beautiful view and ambience however the food leaves something to be desired. The prefixed price for a three course meal would not have been a big deal if the food were fantastic. It had been years since last dining at Flagstaff House. The high points were still there. 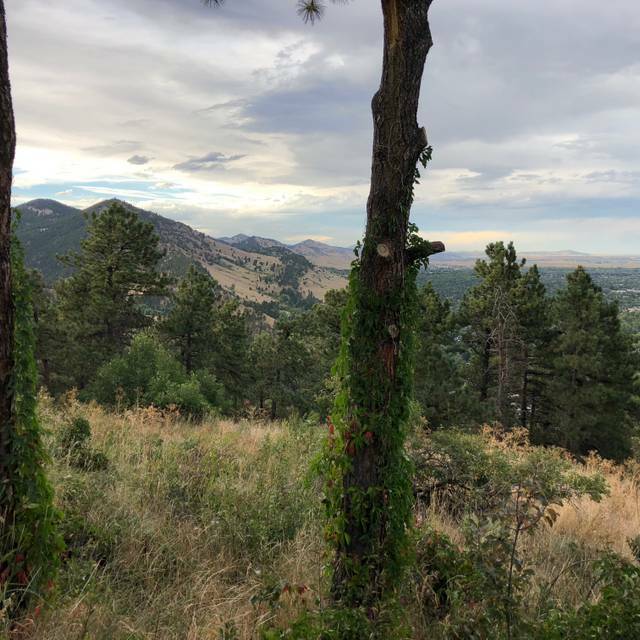 Amazing food and great views from the mountainside location. The low points were the incredibly slow, although attentive service and most notably it was incredibly overpriced and not transparent in their pricing. When they said that items from the chef's menu could be substituted into the three course menu, they did not mention a more than doubling of the price. Since we were celebrating a special occasion, I did not want to ruin the mood with a dispute with the waiter, but I was shocked at the upcharge that was applied. Wonderful way to spend a 70th birthday. Treated like a queen. Food and service could not have been better. Five star all the way. Or a chefs tasting Menu of 5 or 6 courses with dessert. The lobster soup was tasty. The scallops were excellent, perhaps the best course ordered. The wagyu steak was good. I was surprised it was sliced. A small amount of steak I was told 8 oz but maybe 4 oz and pricey @$94 I would not order again. Beautiful, romantic and fantastic service! The food was simply perfect!!!! Easy to see why Flagstaff has earned a Michelin star! Exceptional experience all around. I would recommend to a friend, with the caveat that they are paying extra for the view, service and ambiance. Our main courses were both a bit lacking; a steak ordered medium that had no pink at all and the 'crispy' polenta dish was sadly not cooked long enough and was a bit soggy. Both of us noticed an overpowering charcoal-type 'smoky' flavor to all of the side dishes (broccolini, potatoes, veggies) that made everything taste burnt. The rest of the meal, the service, ambience, wine selection, amuse bouches, dessert were top-notch, but a bit overpriced for a main course neither of us finished. It’s been a while. We were impress by the waitstaff, the artwork, the cuisine. 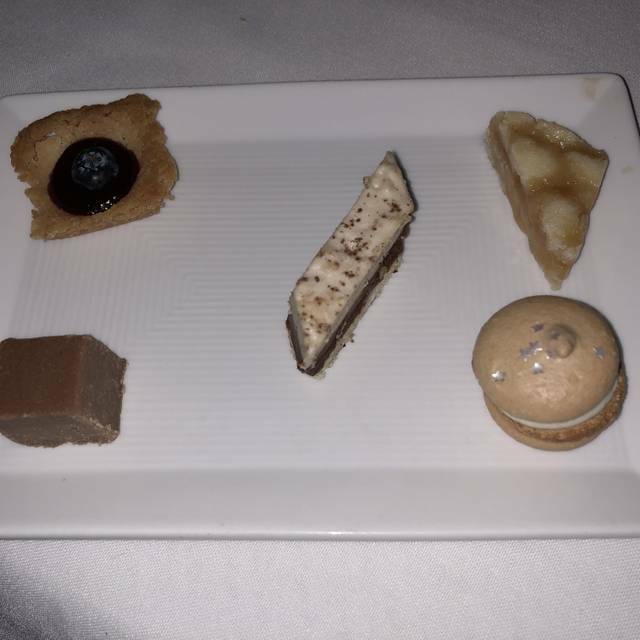 We liked the amuse bouche between courses. They reseated us to the scenic window as soon as a spot opened up. The “anniversary” huge candy centerpiece was beautiful. We’ll come again. I think every table was celebrating something, including an accepted proposal on the spot. While the place was nice, I would not send family or friends there, the amount we paid was over the top for what we received. We were there for my husbands Birthday and we were sat in the corner in the way back, View what view! We were crowded next to other couples while the tables with the view were empty. The best part of the night was Riley our server, she was fantastic! Our meal was amazing and the service was perfect. They made my birthday so special! The view is surreal and the experience is world-class. Worth the drive. Worth every penny. Great service. Great food. Great views! I’ve visited the Flagstaff House with high expectations especially from the kitchen. The dining experience was worth it all. Fantastic menu with food prepared to the highest level. The only complaint would be that there is no paper wine list but with so many choices, they would be giving us an encyclopedia so the IPad made it convenient. Excellent outing. Felt welcomed from the very start. Quiet atmosphere (but also had an early booking) . Food was outstanding, service impeccable. Highly recommend. Pricey but well worth it for a splash out evening. The service and view were wonderful but the food was below expectations. Nice views, but the food is not good. If you want impressive views it’s worth it, but don’t go here for a fine dining experience... the food is terrible. 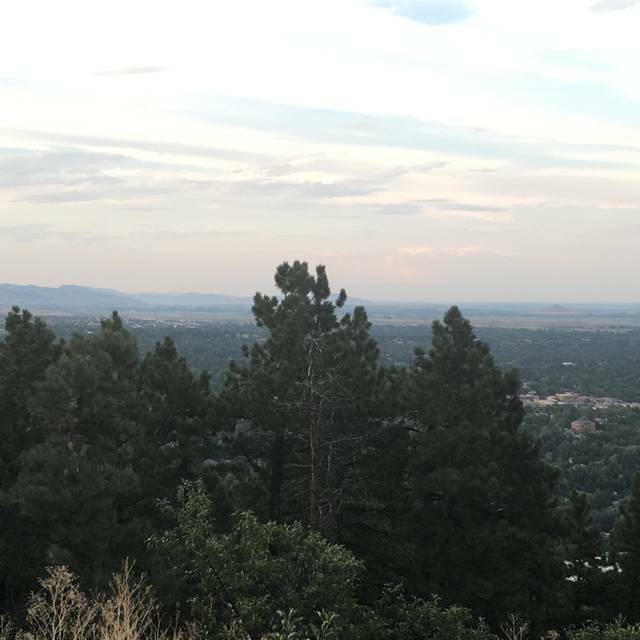 Lived in CO most of my life, but this was the first time I've tried The Flagstaff House. It was our 16th wedding anniversary! I had a scotch I'll be bragging about to my friends and father. They said they had to dig it out of the cellar, 1965 Littlemill lowland deliciousness. The many small portions of an elegant dinner meant we weren't too full at the end of the meal and you got to try a panopoly of rare wonderful dishes. First time I have ever tried foie gras. Also had lemon sole and Chesapeake blue claw crab. The view is something bazillionaires pay big bucks for. This was a sublime alchemy of food, service, and atmosphere! A world class experience. My only complaint is that When dining st this type of restaurant when you are paying 550.00 (without a tip) for an evening meal with a party of three you would expect, at minimum, the service to include a somalier versus a waiter who is not familiar with the wine selections. For this kevel of service and dining, A somalier is the expected norm to be introduced at your table. Also, i did not appreciate the fact of pulling up to the complimentary valet service only to sit in front of the restaurant for nearly two minutes while watching the valet stand inside the foyer entrance texting on his phone, hence resulting in me proceeding to park the vehicle myself. What was worse is the fact of him telling me he was tending another customer—as i stopped him after parking my own vehicle to provide him with my car keys—as he was in the process of parking another guest’s car who arrived after us. Great view, very pricey but the food is quite good, service is excellent. Have never had a bad experience, and this was no exception. Great food, great service, great view. Thanks to entire staff! Flagstaff House is the standard that every fine dining establishment in Boulder should try to emulate. 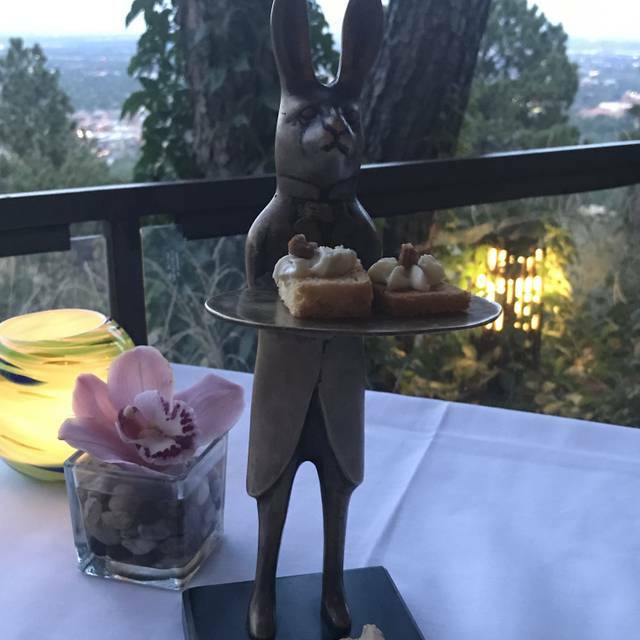 Over the years I have frequented a number of the listed Fine Dining restaurants in Boulder and Flagstaff House is hands down the best of all of them. Meal - Chef Chris Royster's attention to the tiniest of details created an exquisite, memorable meal. Special night w my daughter who attends boulder. We loved all the extras in between the courses! Probably one if not our most favorite dining experience in Colorado. I was there with out-of-town relatives. My brother is a little bit of a gourmet. He was blown away by the service and the food. He kept trying to figure out how they got the outstanding flavor. As far as the ambiance, we got a table at the windows, and the view was outstanding. The evening was a total success.